cultural diversity of the Cedar Valley! 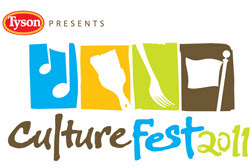 The community is invited to the 4th annual CultureFest event on Thursday, March 3 from 5:30-7:30pm, at the Waterloo Center for the Arts. This free, family event will showcase the impressive cultural diversity within the Cedar Valley, with special performances taking place throughout the evening. WOMEN'S CONFERENCE 2011: "POSITIONED TO RECEIVE GOD'S FAVOR"
Rev. Theresa A. Dear received her Bachelor of Arts in Organizational Development and her Master of Science in Industrial Relations from Loyola University, Chicago. Rev. Dear is an Itinerate Elder in the African Methodist Episcopal (AME) Church. She serves at DuPage AME Church where she leads community expansion initiatives and serves on the board of REACH, a non-profit empowerment organization. Rev. Dear is a consistently visible leader in the NAACP. She was confirmed and sworn into office as a member of the National Board of Directors, in February 2005. She was unanimously re-elected in 2008. For her outstanding contributions and leadership, Rev. Dear has been recognized by several organizations. Rev. Dear has published two books. Inconceivable Seasons: Lessons of Faith and Favor is a powerful book of hope, inspiration, challenge and affirmation. It allows us to see ourselves and God in each woman. Inadequate, Unprepared But Ready is for people with unmet goals, unrealized dreams but who remain hopeful. For more information, visit her websites at www.already chosen.com or www.hr4nonprofits.com.